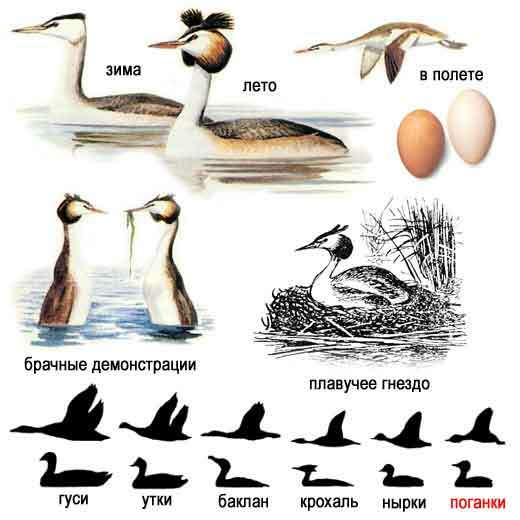 Grebes, Podiceps. 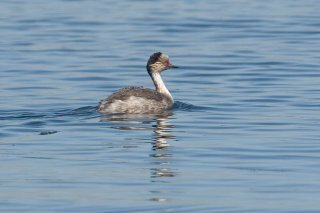 List of grebes on our site. 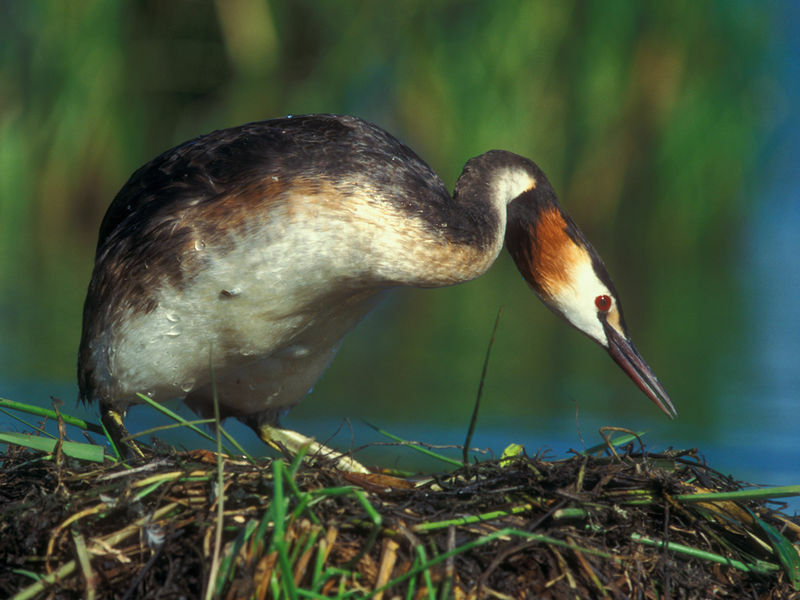 The Great Crested Grebe is distributed throughout most of Europe and across southern Asia to China. with surrounding vegetation. 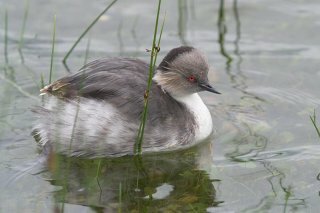 Outside the breeding season it is to be seen at the coast or on large lakes. 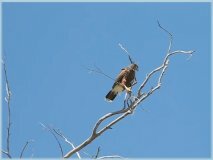 In breeding plumage it has a large black crest with black and rufous tippets. 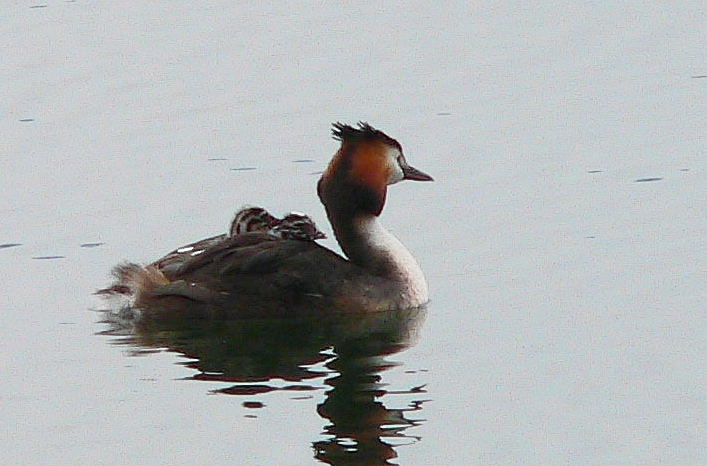 Sexes are similar but the female shows a shorter bill, a shorter crest and smaller tippets. Non-breeding adults lack the tippets. when it is threatened. Then you can barely only see its head over the surface of the water. the chickens grab a good hold, and sit there till they are back on the surface. 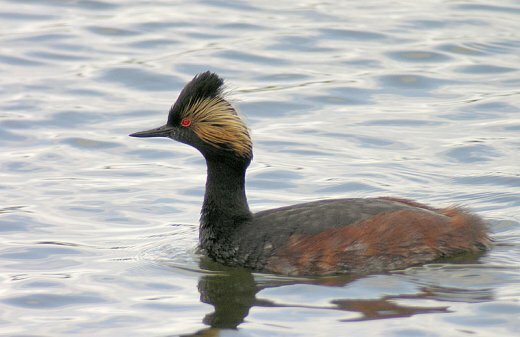 Horned grebe transition to breeding plumage. og på skogssteppene i Russland og Canada, men utbredelsen når noen steder nord til den subarktiske skoggrense. De nordatlantiske bestander (Island, Skottland og Nord-Norge) er ganske isolerte. bunnvegetasjon av tusenblad, tjønnaks og kransnålalger, samt et allsidig utvalg av vanninsekter, marflo og småfisk. og elvesnelle, eller vierbusker ute i vannet. Etter eggleggingen kan enkelte par opptre svært skjult. Bestanden i Nord-Norge anslås til mellom 1000 og 1500 par. På 1800-tallet var den kun kjent fra noen få vann på Helgelandskysten. I nyere tid ser den ut til å ha innvandret fra landene øst for Østersjøen, og finnes da også på Østlandet. 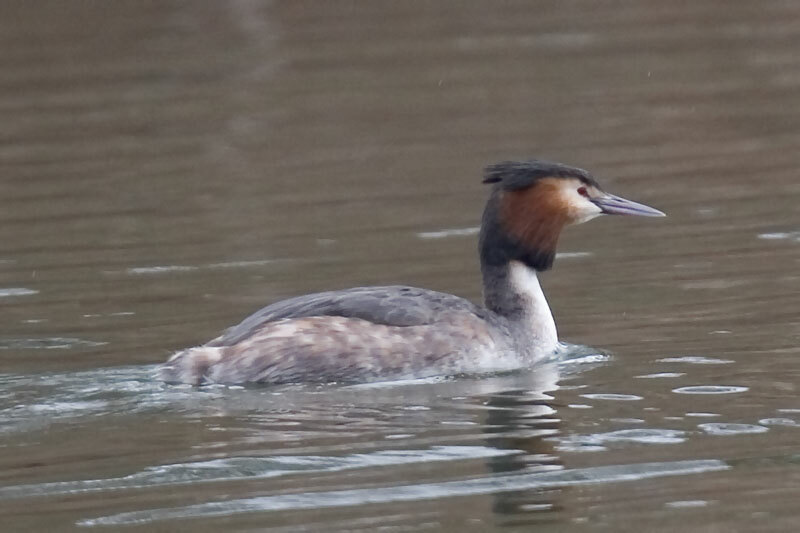 adult in breeding plumage but with a blacker head. and were taken on Lago Villarica (in pouring rain). 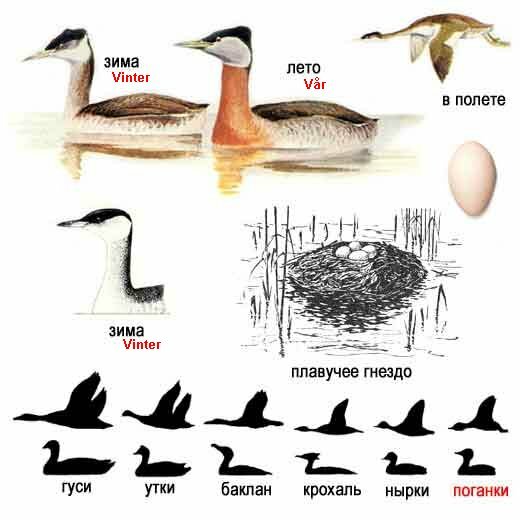 gråstrupedykker, silkedykker, Podiceps grisegena, fugleart i dykkerfamilien. Veier 500900 gram, omtrent like mye som en lirype. Har kastanjebrun hals, svart kalott og nakke, grå kinn og strupe. Oversiden er brunsvart og undersiden hvit. Om vinteren forsvinner den brune halsfargen. Hekker oftest ved små, delvis gjengrodde vann. Gråstrupedykkeren er utbredt i østre deler av Europa og deler av Asia og Nord-Amerika. Er i Norge kun påvist hekkende i Troms, men sees ofte langs kysten utenom hekketiden, spesielt i Midt-Norge. De nærmeste hekkeområdene for øvrig er i Sverige, Finland og Danmark. Det foregår trolig et årvisst trekk av fugler fra Nord-Sverige og Finland til kysten av Midt-Norge. 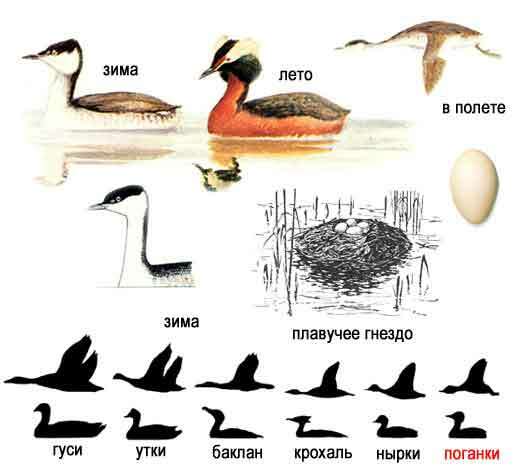 svarthalsdykker, Podiceps nigricollis, fugleart i dykkerfamilien. Den ligner horndykker, men har i sommerdrakt helt svart hals. Litt mindre enn horndykker, vekt ca. 250450 g. Finnes spredt over store deler av den nordlige halvkule. Observert i underkant av 30 ganger i Norge per 2003. Ett par hekket på Jæren i 2003. 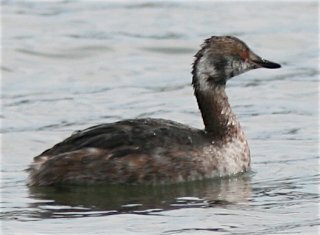 See here for Black-necked Grebe in Thailand. 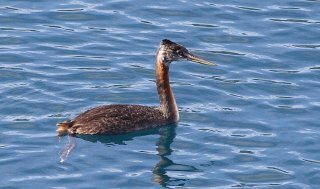 The Colombian Grebe (Podiceps andinus), was a grebe (aquatic bird) found in the Bogotá wetlands in the Eastern Andes of Colombia. 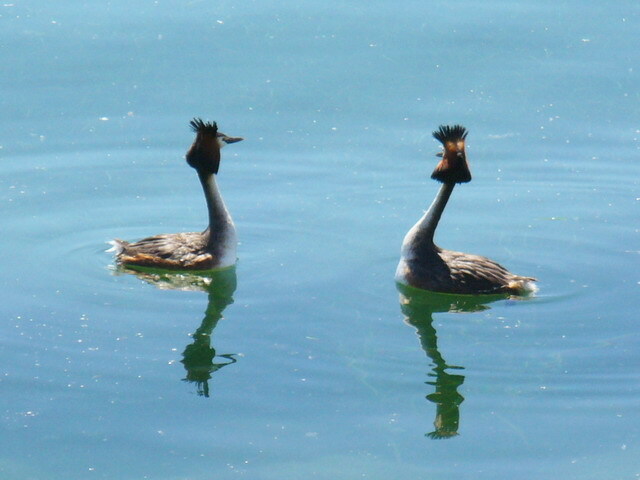 The species was still abundant on Lake Tota (3000m) in 1945. 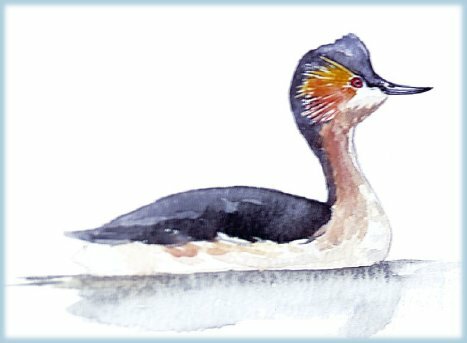 The species has occasionally been considered a subspecies of Black-necked Grebe (P. nigricollis). 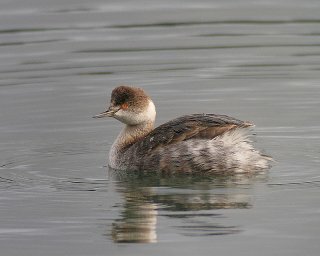 The decline of the Colombian grebe is attributed to wetland drainage, siltation, pesticide pollution, disruption by reed harvesting, hunting, competition, and predation of chicks by rainbow trout (Salmo gairdneri) (del Hoyo et al. 1992). The primary reason was loss of habitat: drainage of wetlands and siltation resulted in higher concentrations of pollutant, caussing (eutrophication) across Lake Tota. This destroyed the open, submergent pondweed (Potamogeton) vegetation and resulted in the formation of a dense monoculture of water weed (Elodea) (Varty et al. 1986, Fjeldsa 1993, as cited in O'Donnel and Fjeldsa 1997). 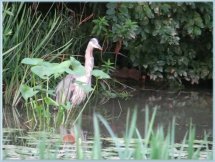 By 1968 the species had declined to approximately 300 birds. 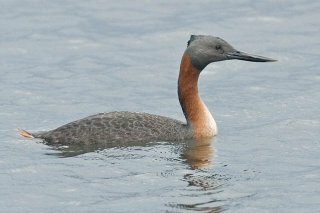 Only two records of this bird was made in the 1970s; one seen 1972, and the last confirmed record from 1977 when three birds were seen. Intensive studies in 1981 and 1982 failed to find the species and it is now considered extinct. 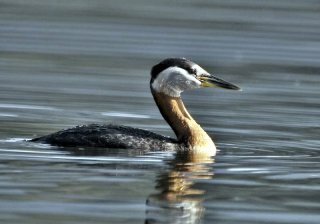 The Junín Grebe (Podiceps taczanowskii), a resident of Lake Chinchaycocha, was appointed regional bird and symbol of conservation. Only 217 copies are registered in the Junín National Reserve, making it a species is in serious danger of extinction. Its habitat is unique to the lake Chinchaycocha, to 4,080 meters above sea level. Its wings, normal size, lack the ability to fly by the weak development of their pectoral muscles. The diver is a kind of eco-tourism potential, not usually take refuge in vegetation, can be seen quite easily. It has a slim and elegant, was chosen as the emblem that symbolizes the richness of this ecosystem in the Andes of the country, the best place for resting and breeding waterfowl. Lake Junín in foreign and domestic tourists doing the "bird watching"or bird watching, where the diver is the goal of many naturalists. 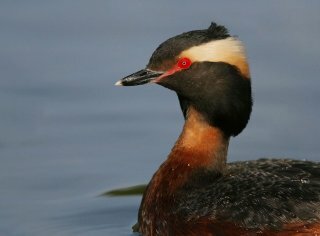 The Hooded Grebe (Podiceps gallardoi) was uplisted from Near Threatened to Endangered in 2009. This species mainly breeds on a few basaltic lakes in the extreme southwest of Argentina; the only known wintering grounds are two estuaries on the Atlantic coast of Santa Cruz, Argentina. In 1997, the total population was estimated at 3,000-5,000; the global population is now suspected to number well below 2,500 mature individuals and is continuing to decline. 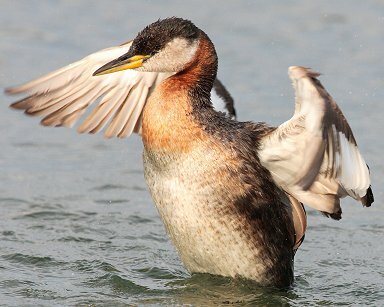 The two main threats to the Hooded Grebe appear to be climate change and the introduction of salmon and trout to private lakes. In 2006, a number of lakes completely dried and water levels at known breeding sites were 2-3 m lower than in previous years. Also, excessive grazing by sheep causes erosion at lakeshores and limits vegetation growth.